Have no clue to solve Move to iOS no code problem? Here are a few practical methods to help you with it. Download this powerful phone to phone application to transfer your messages, photos, videos, music, etc. from Android to iPhone easily. 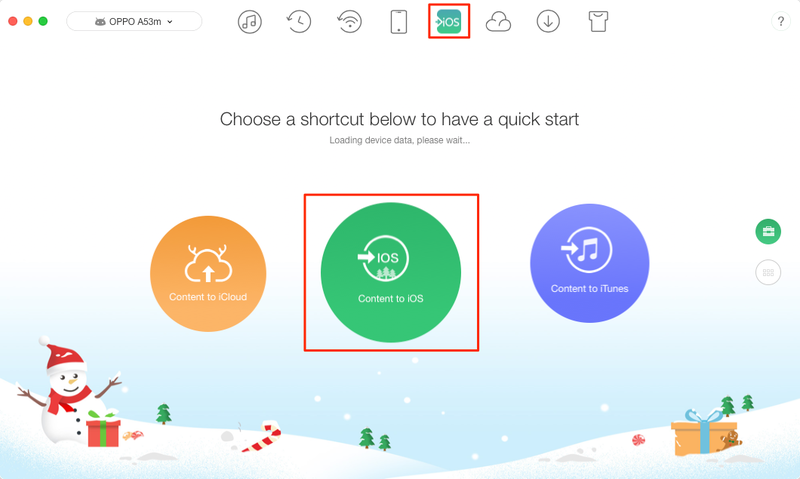 When Apple introduced Move to iOS to users in 2015, it planned to help Android users switch to iPhone/iPad/iPod. After its releasing, many Android users sought help from it to transfer data from their Samsung, Motorola, HTC, Blackberry, etc. to their new iPhone 6/6s, or iPhone 7. However it does not work very well for some people. Many users confront errors when using it. Errors include “Unable to migrate. Try again later”, stuck at “Moving items into place…”, Move to iOS stuck on transferring , Move to iOS not generating code, etc. 1. This app requires Android 4.0 or higher, and iOS 9.0 or later. 2. iOS devices include iPhone 5 or later, iPad 4th generation or later, iPad mini 2nd generation or later, iPod touch 6th generation. 3. This app only work with transferring data from Android to a new or reset iOS device. Regularly, we set up iOS device following regular steps, and go to the screen about Apps & Data. We choose Move Data from Android option, and click Continue. Soon there will show up a ten-figure, or six-figure code, which is the Move to iOS transferring code. We enter the code in Move to iOS app on Android, and data would be automatically transferred. 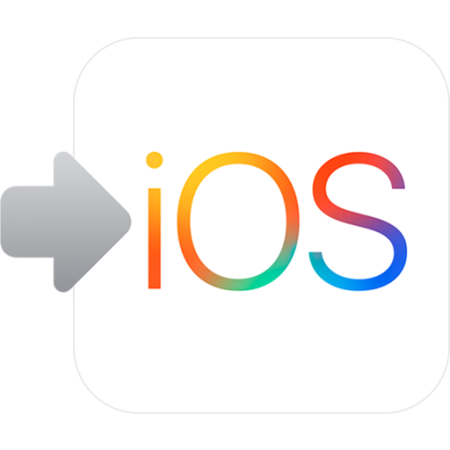 However, in rare situation, Move to iOS no code happens, and what can we do with it? When there is no Move to iOS code, here are three methods you can take. Method 1. Check network connection. During the whole process, we must make sure Wi-Fi always on both for Android and iOS. Method 2. Restart iOS device. Many times this error is temporary, and it will get tight after rebooting the iOS device. Method 3. If Move to iOS still not generating code, you can choose another Android to iOS transferring tool as an alternative. In fact, there are many Move to iOS alternatives out there. Also they are as easy as Move to iOS. Moreover some are even better. If you would like to have a try with them, we sincerely recommend you AnyTrans. This Android transfer also enables you to copy any kind of data, like contacts, messages, photos, videos, calendars, etc. from Android phone to iOS device for free. Besides, compared with Move to iOS, its biggest point is that it never erases data existed on iOS before. Step 1. Download AnyTrans on your PC/Mac > Install and run it > Connect both Android and iOS device to your computer. Step 2. Click the To iOS button > Select Content to iOS. Step 3. Select files you want to transfer > Click the ">" button. AnyTrans now would start to selected data from Android to iPhone and your data would soon be transferred. Comparing these three methods, we prefer the third one. Because compared to Move to iOS, this free Android to iOS data transfer tool recommended does need no code at all. If there are some questions when using it, please leave messages in the comments.